This full-length feature film brings rich detail, color and brilliant realism to the inspiring and fascinating story of the life of Jesus. Features the voices of Ralph Fiennes (Jesus), Julie Christie, Richard E. Grant, Ian Holm, William Hurt, Miranda Richardson and Rebecca Callard. A family is seeking help for their sickly but cheerful daughter, Tamar, when they cross paths with an extraordinary carpenter named Jesus, who walks the countryside explaining the wonders of God. Tamar's father is loyal to the king but torn by his need for this Miracle Maker's help. Against this crisis of faith, an extraordinary event occurs, as the true meaning of Christ comes to life, not just for the family but for all who come to hear his words and experience his love. 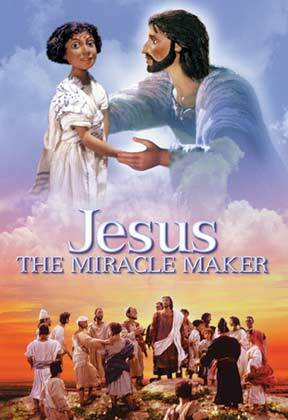 The Miracle Maker is based largely on the Gospel of Luke. Extensive historical and geographical research and the advice of leading biblical experts has ensured the greatest accuracy so that it reflects the power of the New Testament narrative.